Utilizing the latest 9-carrier technology, the award-winning Berkley X9 Braided Line Crystal is an extremely smooth and strong line that has been designed for optimal strength and casting distance. 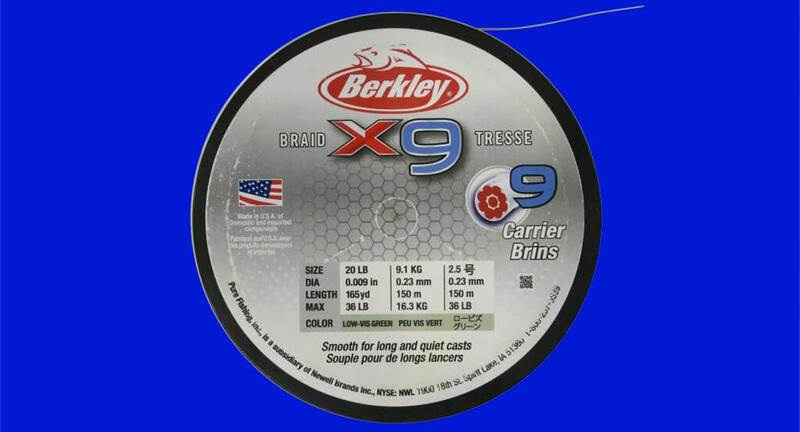 Featuring a 9-carrier construction with a PE core, Berkley X9 braided line is extremely round and smoothly flows through guides for increased casting distance. Its high strand construction also enhances wear resistance for fishing over rugged structure, and provides higher knot strength. It is finished in Berkley’s highly visible crystal and flame green colours for easy strike detection. Berkley XP Braided Line Crystal is currently available in 150m, 300m, 2000m spools in crystal and flame green, and Berkley has also released a 5-carrier version (X5). For more information on these and more new releases from Berkley, visit their website or check them out on Facebook (www.facebook.com/BerkleyFishingANZ) or Instagram (@berkleyfishing).